The Philips HeartStart FRx Trainer simulates how the Philips FRx AED will operate during Sudden Cardiac Arrest. 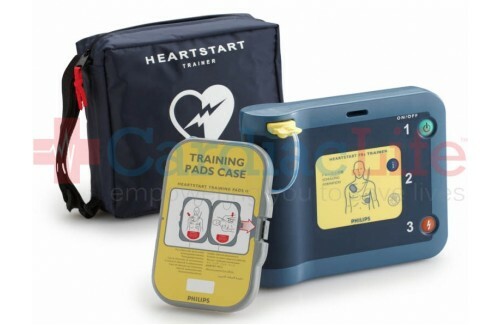 The trainer comes with pre-configured rescue scenarios that service the CPR lesson and allows training to be made easy. Clear voice instructions will walk students through the simulated rescue, allowing them to learn what to do in case of an emergency. 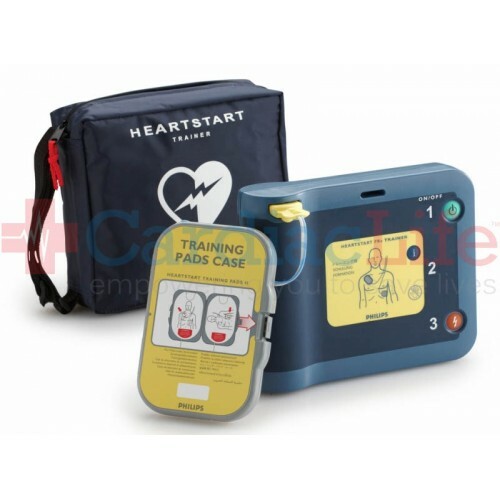 When you buy your Phillips AED Trainer from Cardiac Life you’ll receive Free Shipping, with your purchase. To be indemnified under the Good Samaritan Law, follow manufacturers guidelines. Use AEDSafetrack Program Management to document that your AED is compliment with local and state laws.